Homebrewing became federally legal on February 1, 1979, but the fight to make beer at home didn’t stop there. In 1919, the 18th Amendment of the U.S. Constitution was ratified, bringing about the infamous period of Prohibition. Manufacturing, selling, and transporting alcohol was banned in the United States, and this included making beer at home. You may have seen the pictures of angry imbibers waving signs of disapproval. Fast forward to 1933. The 21st Amendment repealed Prohibition, allowing commercial breweries to make and sell their beer, but there was still one problem: the legislation left out the legalization of home beermaking despite the inclusion of home winemaking! It wouldn’t be until 55 years later that homebrewing would start its journey to legalization. 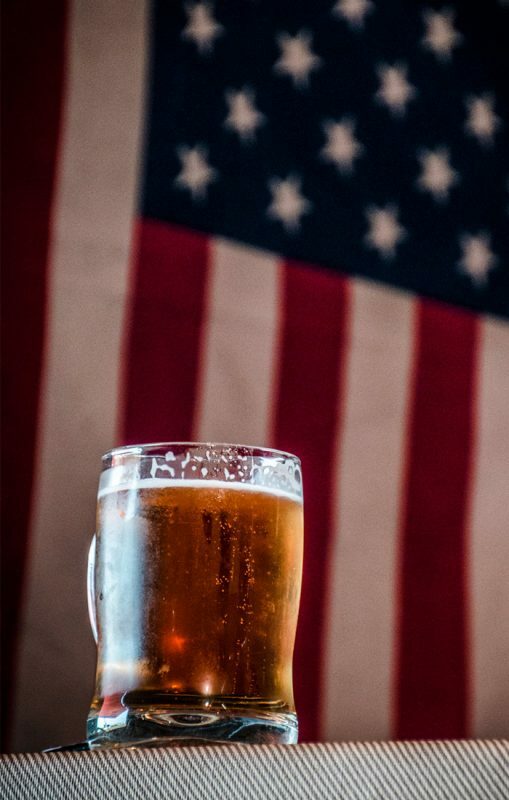 On October 14, 1978 President Jimmy Carter signed bill HR1337, which included the federal legalization of home beermaking in the United States. This bill primarily dealt with things like excise taxes on commercial trucks and public transportation, but Senator Alan Cranston (D-Calif.) and Representative William Steiger (R-Wis.) introduced Amendment No. 5354 that called for the fair treatment of homebrewing. With HR1336 officially going into effect on February 1, 1979, adults in the United States were officially allowed to brew up to 100 gallons (379 L) per person per year, or 200 gallons (757 L) per household. So while President Carter is often hailed as the champion for homebrew legalization, Sen. Cranston and Rep. Steiger are the unsung heroes who fought for our rights to make beer! 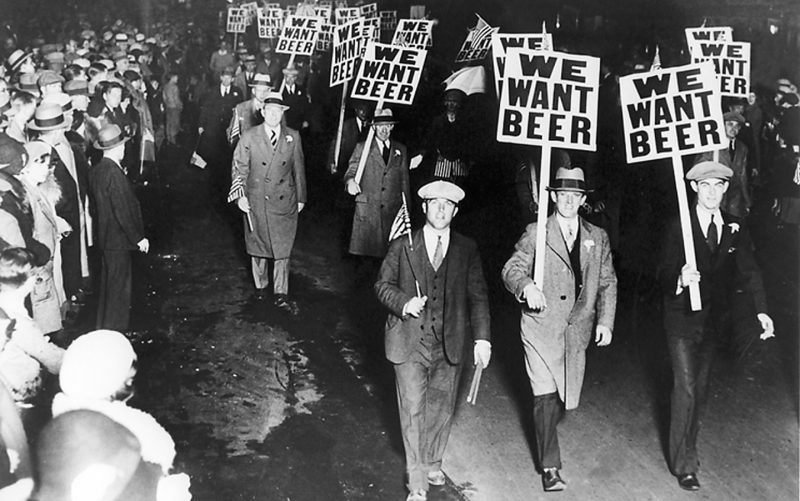 Thirsty beer enthusiasts take to the streets during Prohibition. Alcohol regulations are predominately left to the individual states to decide. So, while legalization of homebrewing at the federal level was a huge win for the hobby beermaking community, it also meant effort was needed in each state to truly make homebrewing a legal activity. The American Homebrewers Association made it our mission to help in these regional endeavors of homebrew legality. Some states were quick to adopt the federal legalization as their state’s policy on home beermaking, while others developed their own language. It wasn’t until 2013—nearly 100 years after Prohibition made homebrewing illegal—that making beer at home became legal in all 50 states, with Mississippi and Alabama both establishing homebrew legality in that year. 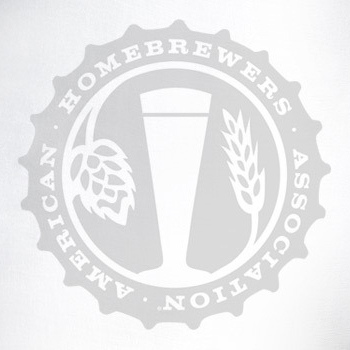 Today, the American Homebrewers Association and other homebrew organizations continue to pursue fair usage homebrew laws across the country. Even with homebrewing being legal in all 50 states, some states still have legislation that makes it difficult to be a homebrewer. Antiquated laws that restrict transporting and sharing homebrew are at the forefront of homebrew legislation initiatives these days. The fight continues, but take a moment to reflect back on how far we’ve come as a homebrewing community since our beloved hobby was first outlawed in 1919. 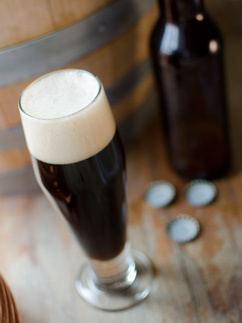 Cheers to homebrewing! Want to join our cause pursuing fair homebrew laws? 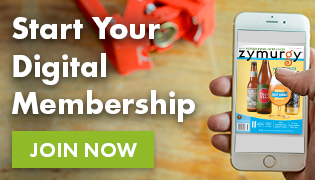 Become an American Homebrewers Association member!